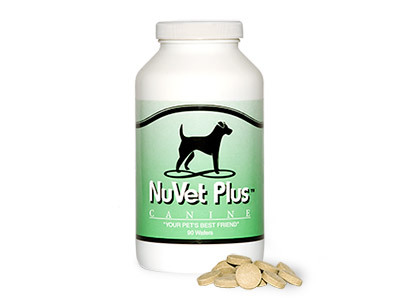 Nutritional supplements from NuVet Labs® are prized by pet care professionals worldwide. Made in an FDA-registered laboratory, only human-grade, naturally derived ingredients and nutrients go into these uniquely synergistic blends. Nationally recognized pet professionals recommend NuVet Plus® and NuJoint Plus® to their clients as a healthy, nutrient-rich complement to their diet. The “cold-processing” of NuVet ingredients also assures it is easy for dogs and cats to absorb. Helps build the animal’s immune system and defend against free radicals. Designed for dogs and cats at every stage of life. NuVet Plus® can help strengthen a dog’s immune system, the body’s “first line of defense” against free radicals. 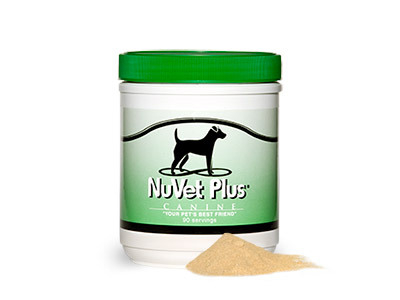 NuVet Plus® for dogs is much more than just another pet vitamin or herbal remedy! Recommended by pet professionals worldwide. Over 30 human-grade ingredients and nutrients amino acids, antioxidants, provide vitamins, minerals, enzymes, and herbs combined in a delicious chewable wafer that dogs love! Natural ingredients with no artificial colors or flavors. The wafers are flavored with pure chicken liver for a delicious treat. NuVet Plus® also offers “finicky formula” in an extra tasty powdered version which can be easily mixed into your dog’s favorite food. It contains twice the amount of pure chicken liver for flavor vs. the wafers. 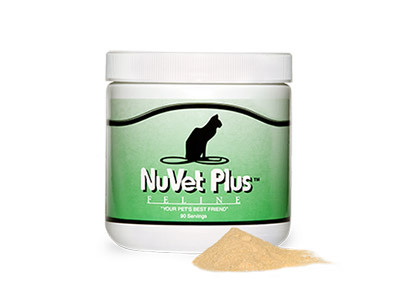 A powdered version NuVet Plus® specially formulated for cats. Over 30 human-grade ingredients and nutrients provide amino acids, antioxidants, vitamins, minerals, enzymes, and herbs combined into a fine powder that is easy to add to dry or wet food. Natural ingredients with no artificial colors or flavors. This natural hip and joint support supplement contains precise percentages of the finest pharmaceutical, human-grade ingredients: Glucosamine, Chondroitin, Methysulfonymethane (MSM) and Vitamin C (Ester-C®) combined in a natural and highly digestible formula. 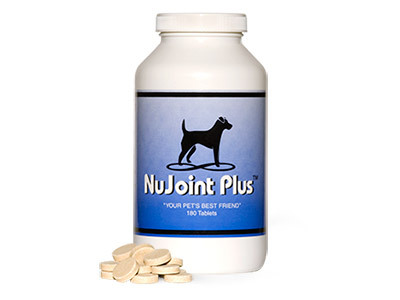 NuJoint Plus® can help support optimal joint health and mobility in dogs of all ages.